Sterling combines with pure fine silver in these gorgeous one-of-kind dangle earrings. The focals are solid fine silver smoke bush leaves made from my own original molds. Sterling silver headpins with faceted blue sapphire quartz beads join the silver leaves to dangle beautifully from oval sterling silver leverbacks. 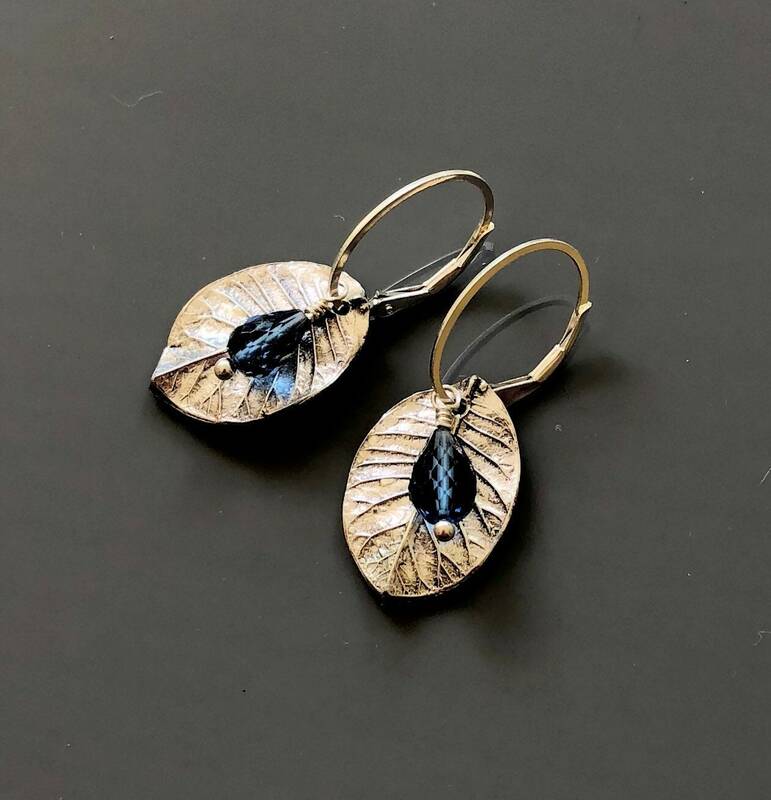 For added versatility, both the leaves and quartz beads may be removed so that the oval leverback earwires may be worn as plain hoop earrings if desired. Total length of these beauties is about 1.5 inches measured from the top loop of the earwire. The leaf itself is about 20mm long. Signed and stamped with silver content on the reverse side. Nice and lightweight for those of you who can’t tolerate heavy earrings.